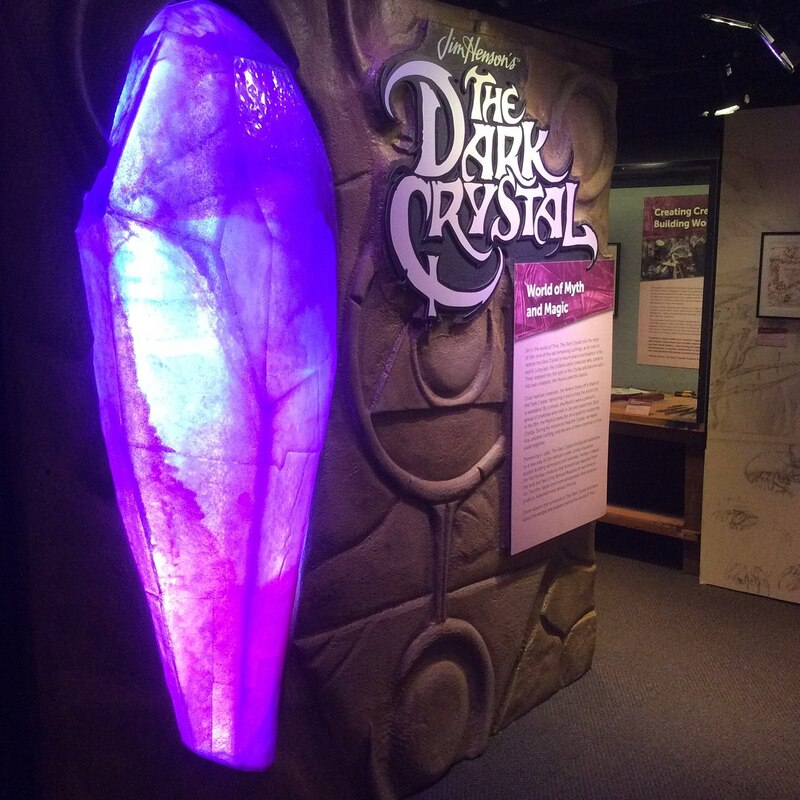 The Dark Crystal exhibit is open! 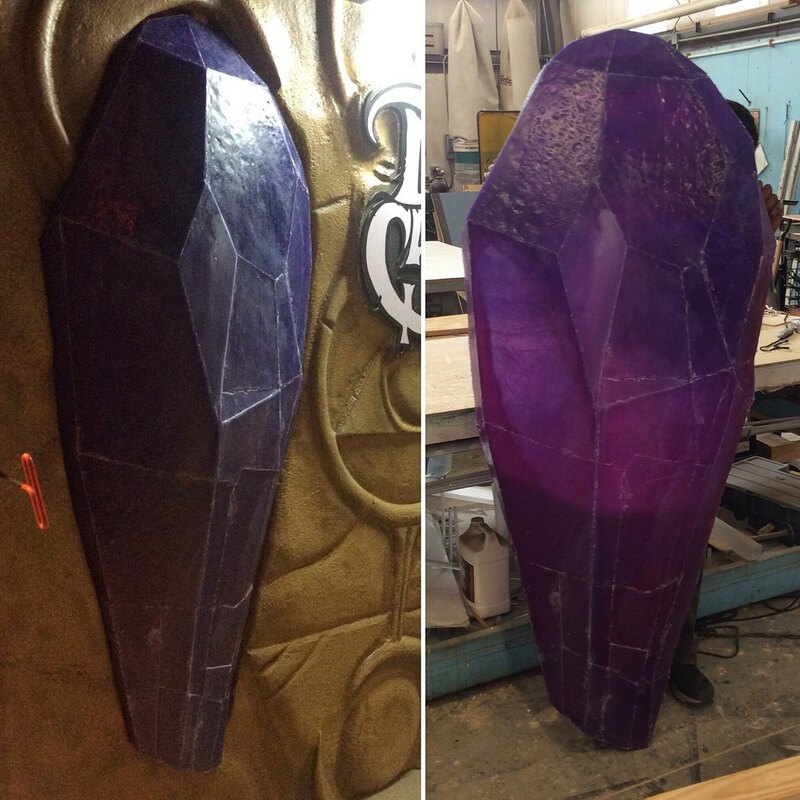 I’m excited to share the gigantic crystals I’ve been working on at the Center for Puppetry Arts. This one is installed inside the exhibit. It’s difficult to photograph, but it looks beautiful lit up. It’s human sized!